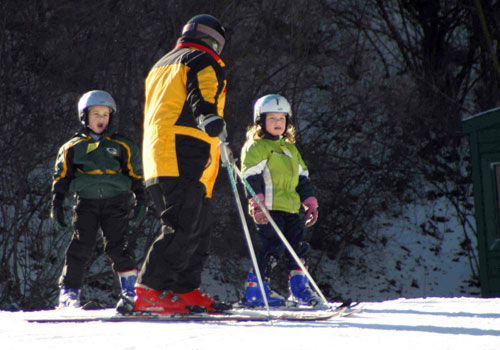 Enjoy skiing and snowboarding all season long at The Mountain Top! With three chairlifts and two carpet lifts, our team will take care of getting you to the top; you just have to concern yourself with which of the 18 runs will take you to the bottom. Don't have your own gear? No problem! We've got plenty to spare, with winter weather equipment in stock and ready to rent. Grab a bite between runs, or warm up with a cup of cocoa around the fire. Leinenkugel's Mountain Top Lodge has what you need to keep you on your skis.